Offer an elegant and exclusive gift with this Limited Edition automatic men’s watch, one of our most popular designs on Swarovski.com. Combining traditional fine watchmaking with Swarovski’s crystal cutting expertise, it is limited to just 999 pieces worldwide. 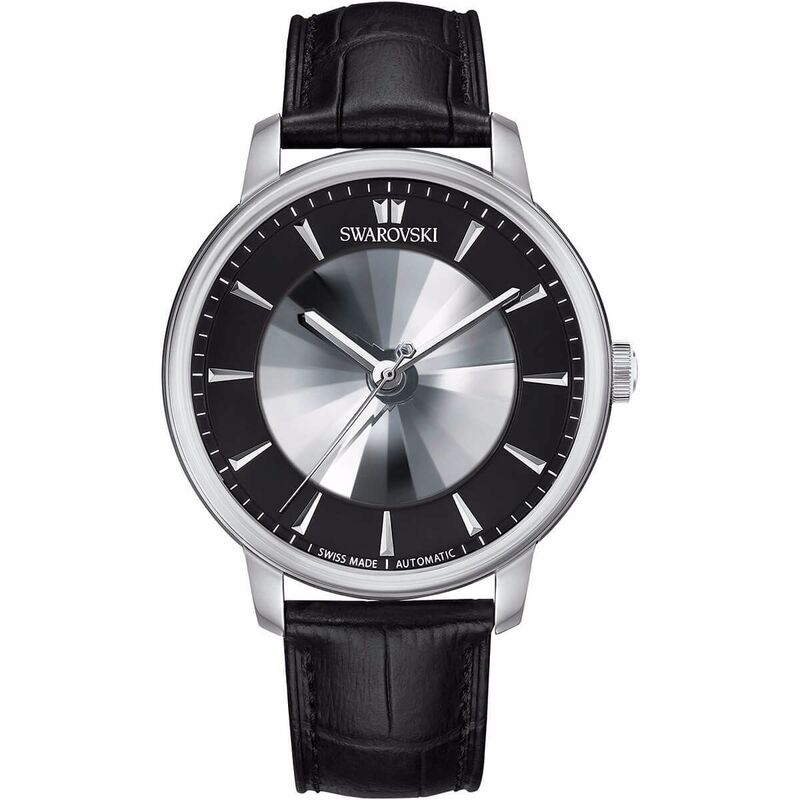 The intense black sunray dial displays a faceted crystal at the center, creating a bold sparkle. A classic stainless steel case, transparent case back, and black leather strap with an embossed crocodile structure complete this sophisticated and innovative design. Case – 43 mm, Water resistant up to 50 m, Swiss made.